Run in America! : Chicago Marathon - 7-minute personal record! Chicago Marathon - 7-minute personal record! This morning I had the fantastic experience of running the 2009 Chicago Marathon. The results were beyond my wildest expectations since I completed the marathon in 3:25:32, which improves by over seven-minutes my personal record and re-qualifies me for the Boston Marathon! I was especially delighted since up until only six-weeks ago I was unable to run for a month while recovering from a minor stress-fracture. 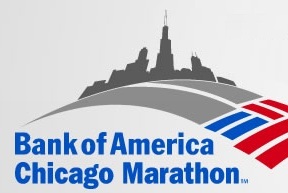 I was very familiar with the Chicago course, as it was my 4th (and 14th overall marathon distance or beyond). The race temperature was absolutely perfect: 34 to 41°F, minimal humidity with a moderate 5-8 MPH wind from the north. While it was admittedly very cold during the pre-race waiting period, through wearing a disposable sweatshirt, hat and gloves (which I tossed at the start) I was able to remain comfortable. I was very happy with my pacing consistency, as is shown on this chart. My first half-marathon time was 1:43:08 (7:52 pace), and I managed a rare negative-split in the second half with 1:42:24 (7:49 pace). Proving especially helpful was running the first 5K with the 3:30 pacing group as this mitigated my unfortunate tendency to jack-rabbit the start. Though I gradually ran ahead of the pacing group after that point, it played a continuing psychological benefit since I knew that if the group were to catch me I would then be able to hang-on with the 3:30's until the finish line. On reflection, during both my recent marathon successes (Houston and Chicago) I benefitted by pacing groups, where-as my recent April Boston Marathon was a partial disappointment (in terms of my completion time - not the fantastic overall experience) due in-part to their absence. With regards my recent successful stress fracture recovery I credit my coach's excellent recommendation that I pool-run and bicycle during my five-week recovery period. Additionally, I credit myself for having the wisdom to follow my doctor's sage advice to interrupt my marathon training while giving my minor stress fracture time to fully heal. The bottom line lesson-learned was was not to give-up following an injury! Instead, keep-up the hard work and your positive attitude via finding healthful alternative activities to maintain your physical and mental health! Other than my stress-fracture recovery period I closely followed the excellent Kenyan Way marathon training program. 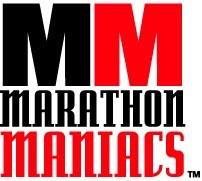 I highly recommend this program for any Houston based advanced marathoner. Rather than consuming my normal Crank eGel I tried out a new product - Gu's Rocktane (Vanilla/Orange flavor). Though eGel has more sodium and potassium per packet (220 vs. 125, and 80 vs. 55 mg respectively), adjusting for its 50% larger volume, both are comparable in electrolytes (though the smaller Rocktane size allows more frequent consumption and therefore provides a more consistent electrolyte and blood sugar levels). Two additional ingredients found only in Rocktane are 1200 mg of amino acids (the building-blocks of protein needed for muscle repair) and 35 mg of caffeine (which I've been convinced since my April 4-mile run helps my performance). I took my first Rocktane 10-minutes prior to the race start, then took an additional packet every 5-miles. My Newton stability training shoes (which I also had excellent results with during my recent Chicago Half Marathon) proved to be well worth their higher cost. Somewhat similar to a natural barefoot landing the Newtons help promote a more healthy and efficient mid-foot landing - which is especially important when running on typical concrete race surfaces. Upon approaching the half-way point of the marathon I realized that despite temperatures then in the upper 30's I was sweating heavily. Consequently, I removed my thin Boston Marathon shirt that I had been wearing and ran shirtless the final half. Though attracting odd-looks from the jacket and hat-laden spectators, I'm convinced that doing so helped tremendously. Since I had clipped my race number to my running belt/gel-holder (instead of pinning it onto my shirt) I was easily able to remove the shirt without worries of being interrupted as a suspected bandit! Finally, as I was seeded in one of the leading corrals that are restricted to qualifying runners I avoided the typical frustration of weaving in-and-out of slower marathoners in the initial miles. This is definitely something for advanced marathoners to check-into whenever registering for a large urban marathon! My Forerunner 405's Connect.Garmin.com log. On October 14th I participated in a Runner's Roundtable podcast featuring a number of runners who participated in various distance running events worldwide over the weekend. To listen to the banter click here. Wow, you make it sound easy, Mark! Congratulations for a very well run race AND BQ and PR!! You must be over the moon.Hope we"ll hear about it tonight on RRT.